WINCHESTER, Va. – Aug. 19, 2013 – Trex Company, the world’s largest manufacturer of wood-alternative decking and railing products, recently announced that Trex Elevations® and Trex Pergola™ have been named to the respective 2013 “101 Best New Products” lists of Professional Builder and Professional Remodeler, two of the industry’s most esteemed trade journals. Earlier this year, both product lines were enhanced to offer greater performance and design flexibility. Manufactured of dual-coated, galvanized steel, Trex Elevations offers unparalleled flatness, durability and longevity when compared to traditional wood substructures. In addition, the product is non-combustible, insect-resistant and will not warp, twist, split or decay, allowing contractors to benefit from reduced callbacks and increased homeowner satisfaction. In 2013, Trex added expanded joist lengths and steel support posts to the line, making it possible to construct a deck substructure made entirely of steel. With the additional guarantee of a 25-year limited residential warranty, Trex Elevations surpasses pressure-treated lumber. Trex Elevations materials also are composed of 25 percent recycled steel, and any excess materials from a jobsite are 100 percent recyclable. Trex Pergola is constructed of an aluminum core wrapped in genuine TrexTrim® for superior strength and long-lasting durability. Manufactured by Fredericksburg, Va.-based Backyard America through a trademark licensing agreement with Trex Company, Trex Pergola kits are now available in a variety of rich, luxurious colors that coordinate seamlessly with high-performance Trex decking and railing – including White, Charcoal Black, Gravel Path (a pristine grey), Tree House (a warm earth tone), Fire Pit (a spicy red), Vintage Lantern (a deep burnished bronze), Rope Swing (a light taupe), Beach Dune (a warm honey brown) and Clam Shell (a deep charcoal). For even more design options, homeowners may select a combination of finishes or custom paint tinting to match any desired color through an exclusive finishing process that ensures superior performance under extreme temperatures and is highly resistant to scratching and chipping. Trex Pergola kits also feature an expanded selection of fiberglass columns to complement a wide variety of architectural styles. Trex Pergola requires minimal maintenance and will never rot, split or fade. In fact, it is in compliance with the stringent 2010 Florida Building Code 160 MPH Exposure “C” requirements – meaning it will hold up under the force of 160 mile per hour winds in an open environment. Installation of a Trex Pergola is easy, and each kit includes all the pre-cut components and hardware necessary – such as a trademarked mounting system designed to provide a secure foundation for each column while being simple to construct. As part of the annual “101 Best New Products” lists, editors from Professional Builder and Professional Remodeler review the top lead-generating products from each magazine and the corresponding websites from the previous 12 months and then select the products that they feel offer the best solutions to their readers. 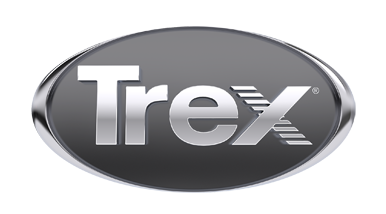 For more information about Trex and its products, visit www.trex.com. To review Professional Builder or Professional Remodeler’s “101 Best New Products” list, visit www.housingzone.com or pick up the August issue of each publication.